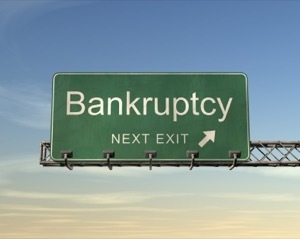 Like any attempt to collect a debt, repossessions stop the instant a bankruptcy case is filed. The only repossession a typical debtor needs to worry about is a car repossession. Creditors can take a car right off the street if the borrower is behind on their payments. However, creditors usually wait until the loan is at least two months delinquent to come get the car. Creditors can not breach the peace or break into a locked garage to take the car but otherwise they can take the car wherever they can find them. After the car is taken, it is stored for a couple weeks at a car lot and sold at auction. A debtor can get the car back if the bankruptcy is filed before the car is sold. However, a Chapter 7 will only delay the process for as little as a month if the payments are not made. A Chapter 13 gives the debtor an opportunity to get caught up over five years without having to come up with the entire default all at once. If you are having trouble making a car loan it is best not to wait until the last minute to file bankruptcy to protect the car. You will need to pay attorneys fees, take a credit counseling class and pay part of the filing fee before you file the case. You will also need time to meet with your attorney and get the necessary documents together. You can see a repossession coming and it’s best to stop the process before it becomes an emergency. Cars can be damaged when being repossessed and the belongings inside them can be lost. Being left suddenly without a car can be a real hardship. If you are falling behind on bills and bankruptcy is inevitable, it’s better to make car payments and fall behind on credit card debts while getting ready for bankruptcy. If you are about to file bankruptcy and you think your car is about to be repossessed, keep it somewhere where the creditor can not find it. If you are making payments on an appliance, jewelry, electronics, furniture, etc., the creditor can’t just come into your house to take the property back. They must go through an expensive lawsuit to get an order allowing the sheriff to recover the property. It is extremely rare for them to do so and they will usually try to garnish wages or bank accounts instead.